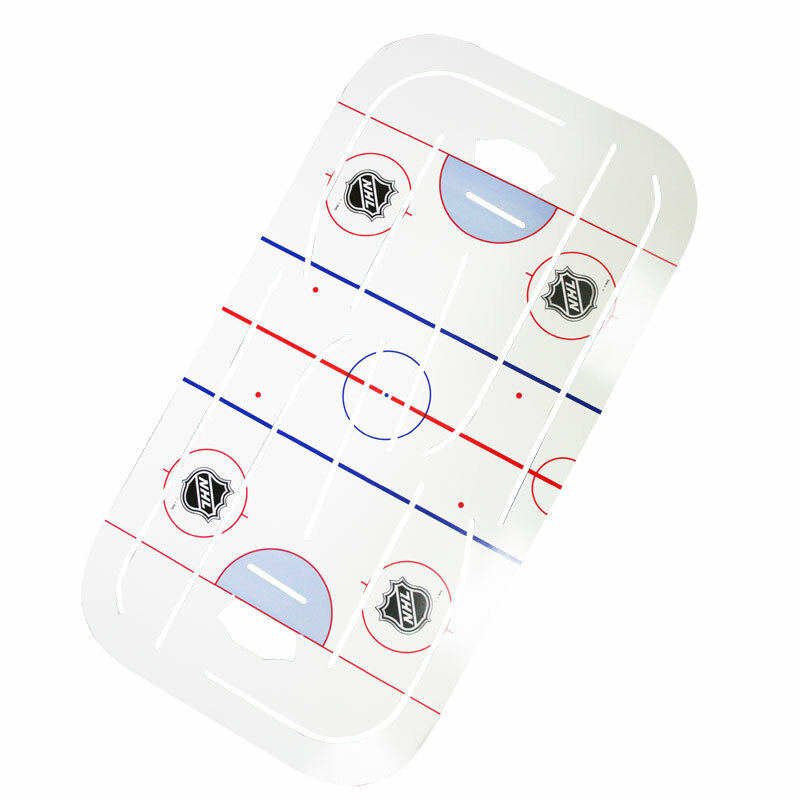 Stiga ® Hockey Stanley Cup Spare Ice Sheet. Should you happen to crack or break your ice, you can now replace it and continue your Table Hockey fun. 5 out of 5 Extra hockey fun ! We bought our Stiga hockey table from Newitts some years back & the ice needed replacing. It was easy to fit & meant that we could play Stiga hockey over Christmas, a family tradition & one we are likely to continue for many years to come, knowing that Newitts are there for any replacement parts or new players. Old ice sheet got a crack due to falling object so ordered new one. It's very easy to use has a peel away backing so it affixes securely to your existing table and makes it as good as new. The replacement ice sheet is a good product. The only problem is that it was folded and placed in a plastic bag to send it. Obviously in transit other parcels would be on top of it with the result that it has a crease that won't fully flatten. I'm hoping that in the heat of the house the sheet will soften and the crease will come out.